Island Street in Salcombe seems to be having somewhat of a new lease of life – and we think that it’s in a good way. It is being celebrated as the artisan side of Salcombe with not only the boat builders calling it home, but also artist studios, a new gin distillery and thriving photography studios such as Bang Wallop. Often it feels like developers ‘clean up a town’ and consider old boat stores and higgledy-piggledy buildings to be unsightly. We think these to be beautiful, full of character and part of the charm of Salcombe – essential even. Historically Island Street was a high density area of boat-building, fishing and all things nautical. But the days of Salcombe surviving solely on these occupations has changed with times. The rise in the popularity of the area for visitors altered the dynamic of the town, but we are delighted that there are still some traditional businesses on the go and some new up and comers. There are traditional boat building techniques still employed for beautiful clinker-built boats. One of the stunning boats in The Fleet named Copper Miss is a great example of a clinker that was designed and built in Salcombe and is perfectly suited to these waters. New on the scene is Paper Bird Island set-up by a lovely lady called Alice Alderson. It is an art space for children (and big children) where you can enjoy art and craft activities. She can set-up parties and if by chance it rains during school holidays, it will be a great activity for the children. 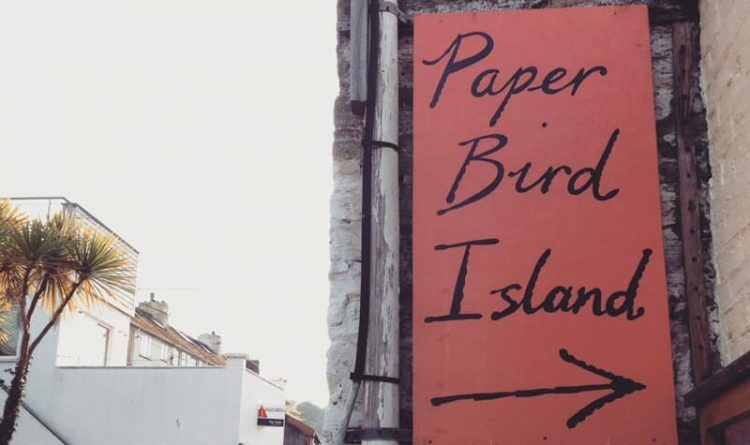 Paper Bird Island takes the place of Gallery 5 who has in turn moved next door to the Hope Cove Gallery. Tucked around the corner on Thorning Street is Coves Quay Gallery with the talented Greg Ramsden. We urge you to take a little time to explore the talents of these artists. In place of the ICC (Island Cruising Club) shed, there is a new business coming to town which is a refreshing addition to Island Street. It is the Salcombe Gin Distillery! We are soon to learn more but feel really excited about another independent business coming to Salcombe – especially if it means a little testing of their G&T’s! Bang Wallop continue their outstanding photographic creativity – we love working with the team on photographing the luxury holiday homes in our portfolio. A little further down Island Street you can find Will Bees Bespoke who create beautiful handmade leather and fabric accessories. You can meet Will who will emboss your own initials onto their products – a seriously cool personalised service. We’d love to tell you more about the wonderful things you can find in Salcombe – if you are looking for a self-catered holiday home, please do get in touch by calling 01548 706 706.